Henry Martyn | "Only one life, soon will pass, but only what's done for Christ will last." Many of you may or may not know that in September 2013, I was diagnosed with Hodgkins Lymphoma Cancer. And let me tell you, that it was a shock to me—because I only found out after falling from my bike during a 17 mile bike ride. Subsequently, after having xrays of my ribs done, a tumor was discovered in my chest. Over the course of a year, I underwent a regiment of chemotherapy and radiation treatment. Thankfully, after a year of treatment, I was given a clean bill of health and have been cancer free since 2014. When I share my story, I do not exactly disclose every detail; but the tumor never completely dissipated—and what was left was small residual tissue that needed to be monitored regularly. Unfortunately, in November 2018, during a routine check-up, my oncologist noticed something peculiar in the Exam. Apparently, the residual tissue that was left in my chest appeared to be growing again. I do not think that a day passes, when I do not contemplate the possibility of the cancer returning. I have spent a lot of time educating myself on secondary cancers, in order to make the correct life decisions as it pertains to my diet, as well as any on-going treatment. (That really is not the point though) The point that I am trying to make is that once you have experienced something like cancer, you do not view the world the same. There is not a day that goes by that I do not appreciate waking up to the sound of the annoying alarm clock—because I have the privilege to go to work daily. You will never hear me grumbling about bills, because I have the privilege to still be alive to pay them. Nor will I ever complain that I don’t have the latest iPhone, drive a Mercedes Benz, own a two story house, or have the latest and greatest material possession—because I learned to see and value the beauty of the simple things in life—such as the radiance of a glorious sunrise or sunset. Why? Because I’m alive. Recently, I have mediated on those things—given the possibility of having cancer again. So over the course of the past few months since having discovered that my tumor was growing, my oncologist ordered many blood tests, scans, and finally a PET scan to determine if in fact the cancer returned. Alone. Silently. I waited. I didn’t disclose this information to anyone. You want to know why? Because it’s a difficult position to be in—because when you are faced with uncertainty about life—you immediately become vulnerable. And moments that bring instant sobriety and clarity, should cause us to evaluate the things in life that are important. It should compel you to re-evaluate how you are using your personal energy and efforts, and how much emphasis you are putting on things, people, problems, and general situations that have zero value in your life. Because in the end, we must maintain a sobering mindset that life is short and precious. Today, at approximately 5pm, I sat in the room of the oncologist’s office anxiously waiting for my result. With my heart pounding and my hands perspiring, I sat quietly, just hoping…and with the small faint voice in my head I talked to God. Maybe I was pouring out my heart. Perhaps I was clearing my conscious. Maybe it was my way of coping with the insurmountable pressure of looking cancer in the eyes again. Whatever it was, it made me feel small and weak. You see, I am writing this today, to remind you that it’s going to be okay. Not because things are okay, but because it’s life. And whether or not my cancer returned or not, I know that I need to learn to let things go. I need to develop a discipline in my life to love and forgive. I need to learn to accept failure and allow the process of life to shape me. I need to recognize that we aren’t perfect, and that life is a mixture of failures and victories. It is just part of the process. Today I learned that I do not have cancer and I do not think I have ever had more of an appreciation for life. I am grateful for the gift of emotional and spiritual sobriety. I am thankful for friends and family who are ever so present in my life—willing to share my burdens. And I am thankful that I have experienced these lessons—because it has saved my life. Honestly, I believe that in some way, I experienced death today. but I died today of humility. Holidays are important for many because it is a time stamp for significant events in people’s lives; especially New Year’s Eve. This day represents a figurative opportunity to start afresh and anew. Personally, I struggle a bit with the concept of the New Year. I have sat down time and time again, trying to figure out why? And so it was…one of the most uneventful New Year’s Eve I had ever experienced. Don’t misinterpret the idea that you can’t be snuggled up on your couch on New Year’s Eve doing nothing? There is absolutely nothing wrong with that at all. I only shared that story because I have developed a certain expectation (at a young age) that the New Year is attached to GREAT expectations. And I sense a sort of whirlwind of “optimism” and “eccentricity” that is a bit overwhelming to the point that I am beginning to question its value and validity. Consider this for a moment. We as a society have access to a plethora of knowledge and endless philosophies. Everywhere we turn, there are inspirations for self-improvement and personal growth. 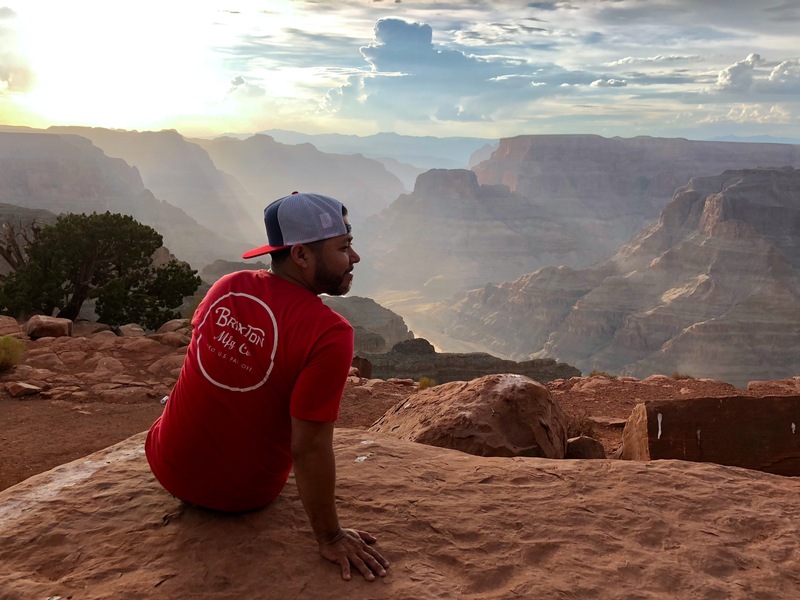 We have access to travel to exotic locations, and resources to visit elaborate restaurants, try new foods, go to boujee coffee houses, and take pictures at far away destinations with colorful landscapes. We can buy the best clothing, flashy jewelry, name brand purses, and have a countless amount of shoes. We have the best technology, the latest laptops, new cars, and expensive cell phones—and on and on the list goes. But ask yourself this: Does any of it impress you anymore? Then I realized that the child that used to get excited to open gifts on Christmas day and that kid who enjoyed celebrating the New Year is not the same person anymore. While I believe that the excitement of great expectations for the New Year has not changed, what has changed is the expectation that I have for my life. Some might even suggest that I am overthinking the New Year. But I don’t think so. The goal should simply be to avoid senselessly celebrating new beginnings or to start 2019 intoxicated with emotion. We should want to step forward in life with a sober mind, thoughtful actions, and purposeful intentions. We should want everything we do to be thought out. And while we can embrace the adventure of spontaneity—we must not depend on the winds of chance or wishful thinking. I want to plants seeds of success in my life. I want to think through the emotions for which I express. I want to choose the words for which fall from my lips. Yes that is true. But we should not live with no regret, because then we do things that leave us living in regret. I say make “calculated risks” in your life. Care for your loved ones now—take them flowers, while their alive and not dead. Take on that new job. Cry when you need too. Say “I love you,” if that’s what you feel. Be in control of your decisions. 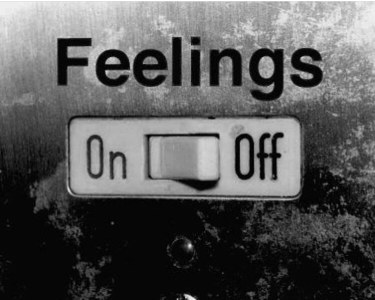 Wouldn’t it be nice if sometimes we could just turn off our feelings whenever we wanted? It would keep us from experiencing sadness, anger, worry, or frustration. Then we could always live in a state of euphoria, always living happy and carefree; never having to deal with emotions. Have you ever been so mad that you did something you regretted? Maybe you felt so sad that you had depressing thoughts? It’s easy to be driven by emotion and to let these feelings dictate our actions, and often times it can get us into trouble. I wish we could turn off our feelings at will, but that just is not reality. The reality is, we are complex beings with a complex nature. And in order to KNOW what happiness is, we have to understand sadness. In order to KNOW peace, We must at some point experience anxiety. I know that people have a tendency to operate as if they had no feelings. So they medicate themselves by getting drunk, or going out, they develop inappropriate relationship, or get tattoos (they’ll regret it later). We try everything to erase the emotion we have by finding consolation in these actions. Maybe it will make you feel better—but the relief is temporary. A lot of us have grown up and never have developed the appropriate mechanisms to cope with emotion. But I want to tell you today—to NOT turn to things that you will regret later. Instead, learn to embrace the feelings you have, and allow each emotion to be like different colors to a canvas. Let your life, be a picture full of different colors that will eventually create a masterpiece in the end—with both good and bad experiences. 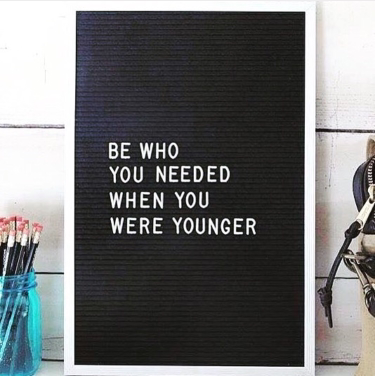 It’s who you are called to be. It’s what you are called to experience. Don’t let it change you for the worse. Let your emotion teach you. Develop HEALTHY coping skills with HEALTHY responses. I recently met a man at a Skilled Nursing Facility, after having suffered a massive stroke while exercising at his local gym. I sat and talked to his grieving spouse who stated that he was a millionaire whose family had owned many businesses. In that single moment, she had come to the realization that not a single penny could buy her husband’s health back. I grieved with her and later took a moment to self-assess my own life in relation to their experience. I wondered, why are we as humans often only grateful for something—when it has been removed? Recently, my brother was nearly killed riding his bike— when a car failed to see him and as a result, he flipped multiple times, breaking both arms. In a moment of assessment, he stated that he didn’t realize how fortunate he was to have functioning arms until the moment came that they didn’t work. He currently is in recovery, but has no range of motion in his arms or movement in his hands. It saddens my heart because it is common to not carry gratitude on a daily basis because we are so busy in life. We often grow numb to the simple gratitude for the things that make life so beautiful. That’s because the experience of hardships have a way of distracting us from what is important. Sometimes the hard times can make us bitter and move us to have every emotion except gratitude. But today, I find myself recalibrating my heart. Today I want my heart to be overflowing with gratitude for each experience life has given to me as lessons to be better not bitter. 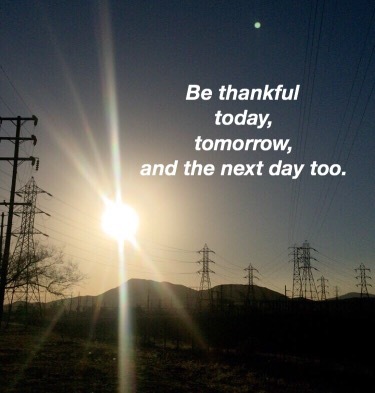 Be thankful today, tomorrow, and the next day too. it’s randomness that makes life beautiful. It’s the little things. That’s life. A few weeks ago, people all across the country were scrambling to buy lottery tickets. 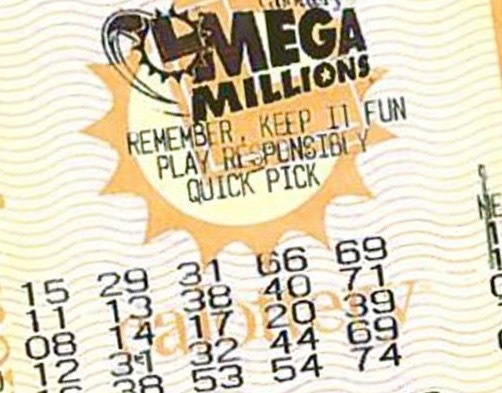 The jackpot was the largest it has ever been in the history of the Lotto–over 1 billion dollars. People jokingly talked about what they would do with the money if they were to ever win; imagining how great their lives would be with unlimited resources. To be honest, it is not much of a gamble when the stakes are so low. If you lose, you don’t lose a lot. Right? But what if I were to tell you that based on the statistics–it was more probable for you to lose, than to win. Some people say that “it is worth the gamble” because the risk is minimal. But what if you always gambled knowing that you had a losing ticket? But people do it all the time with their lives. It’s the same thing when people get into relationships. Perhaps a person has a history of behaviors or a pattern of decisions; yet we ignore all the red flags because we enter the commitment thinking it is going to be different this time, somehow. Yet their character and predictable behavior is kind of like playing the lottery with the same losing numbers every time. I am not really the kind of person that takes gambles on many things, but I have gambled with life decisions in the past. I don’t really play the lottery. And whether you do or not, is your prerogative. Stop gambling with your life. The Bible says that “…for whoever loses his life for my sake will find it” (Matthew 16:25). In other words, according to the scriptures, there is a payoff when we are willing to “lose our life” (metaphorically speaking). I think it is testament to the need to change the way we approach life. We must make calculated decisions and own them. We should be encouraged to think through choices and not let emotion dictate our options. Sometimes we can get disillusioned about life decisions (just like the thought of winning the lottery), with thoughts of grandeur. But the reality is—if you have losing numbers—you’re going to lose. The only consolation that I have in knowing that I have taken life risks is that I did not commit to continuing to lose. Those risks, while they have hurt me— have also helped me become who I am today. I realize now that I did not gamble then because I KNEW that I was playing with losing numbers. But now, those losing numbers have been crumbled up and thrown in the trash. Family. Love. Loyalty. Respect. Peace. Forgiveness. Faith. All the things that can’t be purchased. Have you ever been addicted to something? I have. In other words, an addiction in the most negative form is a repeated behavior that negatively impacts themselves and everyone around them. This is an example of an affirmation statement that is said during these types of meetings with the intent to take power and control of one’s addiction. An addict learns that the pursuit to understand their addiction begins with acknowledgment and the acceptance of who they are. 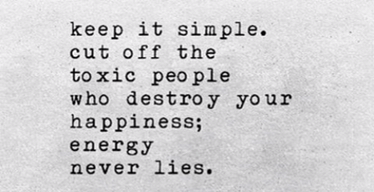 But we live in an age when people often disconnect themselves from their problem instead of considering that maybe THEY are the problem. The problem with these kinds of statements—is no where in these statements is an acknowledgment to their contribution to the problem. There is a removal of ownership and avoidance of responsibility by externalizing the causality. There is never an acceptance of a need to change one’s self, but rather a pursuit to change their surroundings. . Imagine if you have a weed in your garden; no matter how many flower gardens you transplant the weed—It still remains a weed and not a flower. Let me put into a different context. Maybe you have experienced some turmoil in the workplace. You decide to leave that job, and go to another job where surprisingly you’re experiencing the same problems. Then you leave that job, to find other employment, only to find that you have the same problems. So, despite having changed your environment, nothing is changing, because perhaps YOU are the problem. The Bible says “if your right hand causes you to sin, cut it off and throw it away” (Matthew 5:30). In other words, there is an acknowledgement—and then an action to CUT OFF or remove whatever causes the problem even if it’s CONNECTED TO YOU. And I will never blame anyone for my choices. I’ve just learned to CUT OFF the things in my life that have an adverse affect on me—even if it’s my own hand. 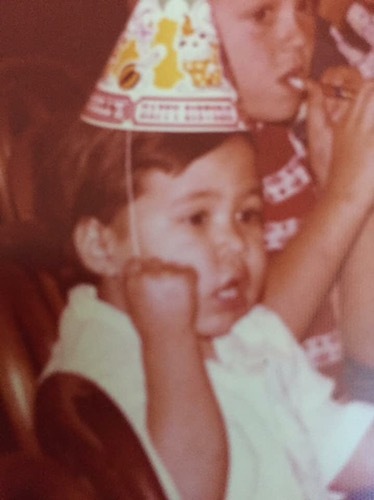 I recently celebrated a birthday and my sister jokingly posted a bunch of baby pictures of me on Facebook. It’s hard to describe the feeling I get looking at old baby photos. The funny thing is I was recently scrolling through the photo album on my phone with the intent to erase old pictures and delete unnecessary ones—and I got the same feeling. Sometimes I do that on purpose because I WANT to ERASE certain things specifically. And I’m not talking about erasing those blurry photos or the pictures of you with your eyes half closed (LOL). I’m talking about erasing the pictures that possess a memory of who you were with or where you were at; or deleting the pictures that in one snapshot could remind you about what you were doing and how you felt. I’m talking about erasing memories not pictures. (Insert asterisk here *) Memories are good for the most part—they should serve a purpose. Like family photos. They remind you how fast life moves. But erasing memories is intentional. Allow me to put it into a different context. The Bible says that “Remember not the former things, nor consider the things of old. Behold, I am doing a new thing;” (Isaiah 43:18-19). Recently social media sites like Facebook and Snapchat, have started sending reminders in the form of a “memory” of a post you created or a picture you took in the past. Sometimes It brings a smile and other times, it brings relief knowing that I am not the same person I was. The only time I ever want to look back—is to remember where I’ve come from—so I know, where I’m going. I promise you that I can find life analogies in everything. 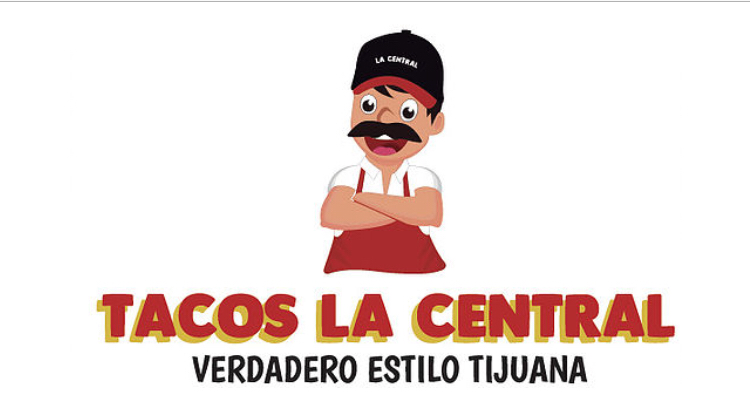 LOL I recently went to dinner at a local eatery and enjoyed the absolute best Tijuana Style Taocs! Fresh hand made corn tortillas, savory meat, delicious guacamole, washed down by an ice cold Mexican Coke in a glass bottle. Soooo good. And because of the great experience, I come back all the time. But imagine if the experience was negative. Have you ever returned to a restaurant when the food was horrible? Not me. For me, it only really takes one bad experience in a restaurant to lose my patronage. Then I thought, why do we treat life circumstances differently? Perhaps you have been in a horrible relationship too long or have just continued to make really bad decisions—and find yourself stuck in a cycle of despair. Maybe you KNOW that a certain something is bad for you, yet—again and again, you return to make the same mistake. The Bible says “as a dog returns to its vomit, so a fool repeats his foolishness” (Proverbs 26:11). Yikes! In contrast, the Bible also presents an option for the believer to be renewed…and an avenue for change given. “Therefore, if anyone is in Christ, the new creation has come: The old has gone, the new is here”(2 Corinthians 5:17). In other words, when we find ourselves in a place where change is needed—the Word offers us refuge in Christ. I admit. I am guilty of that. I often say that if we do the same ‘ole things—we will get the same ‘ole results. In fact, I write these blogs not for an audience, but for me. They are a reflection of self discovery that apply to my life—and may have no impact on you whatsoever. I believe everyone is on their own journey of self-discovery and meaning. But my hope is, that you can relate to what I share and begin to see life lessons everywhere. I want the Dodgers to win so bad! 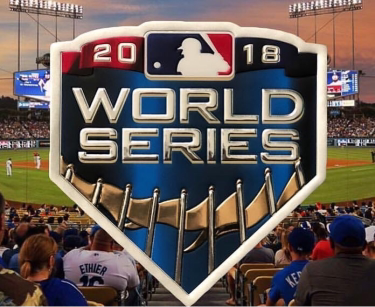 If you are a fan of baseball, then you know that the Los Angeles Dodgers are playing the Boston Red Sox in the World Series. If you love baseball like I do, then you would agree that it is exciting to see these two teams battling it out on the biggest stage in baseball for the coveted championship title—to win the right to be called the best team in baseball. After it is all said and done, only one team will come out as the ultimate winner—and one team the loser. I want the Dodgers to win soooo bad! In fact, it has been 30 years since the Dodgers have won the World Series title. But, as I sit here and enjoy the game, I am compelled to think about how much emphasis in life we put on “winning.” Not just within the context of a sports game, but in everything we do; whether it is school, work, or play—we as a society have become obsessed with the idea of winning. I suppose, it is just the nature of the age in which we live—being self-absorbed with ourselves and our egos. And there is nothing wrong with wanting to be the best. It is possible to be overemphatic with winning to the point that we actually lose. In fact, losing helps us to identify areas of growth. To lose, helps us distinguish the areas that we can improve. Ultimately, when we fail with disappointment, we often miss the objective. The bible speaks about “loss” in the context of death. Imagine this, Jesus was an innocent man, yet still convicted by Jewish heretics of violating Old Testament Law. Jesus was convicted and then suffered the ultimate punishment of death—yet he was innocent. Do you know how Jesus responded to this wrongful conviction? He accepted His fate and the will of the Father. Now, we are not Jesus, but it is safe to apply Biblical principle to our lives in the context of sacrifice. The bible says that “to live is Christ and to die is gain” (Philippians 1:21). In other words, if we believe in the word of God—then we must believe that there will be times in our lives that we lose with a distinct purpose. If we believe in the word, we must choose this perspective—and die to the impulse to always win. In fact, instead of sulking in “the loss,” we should strive to embrace the failures in our lives. When we are able to do that, we avoid the pain of trying to understand this world with our physical minds—and we are blessed with seeing the sovereign hand of God over our lives. I accept the losses in this season in my life. Because I know that God is in control. While my tendency is to fight for a win, we must learn to gracefully bow out of a situation with the loss—because maybe it’s how we win.